Unity Presbyterian Cemetery, Latrobe, PA This is not the original gravestone. 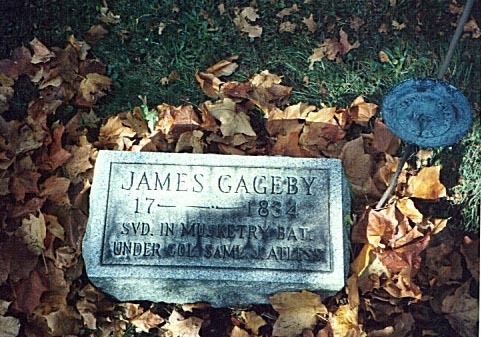 The original gravestone was like the one on James' left (his wife's gravestone). The dates on the original gravestone evidently were erroded unrecogniziable. 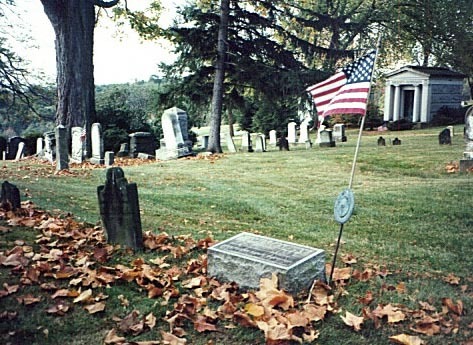 Who replaced the original gravestone? They did not know James' birth and death dates. Who was Col. Sam. J. Atless? What was the Muskety Bat.? Does Bat. stand for "Battery" or "Battalion"?